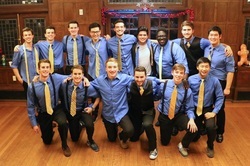 Since their founding in 2000, Amherst College's youngest all-male a cappella group has dedicated itself to engaging, musical performances. Performing exclusively original arrangements, Amherst College Route 9 has been active across many New England venues including Trinity College, Wheaton College, and Dartmouth College. They are looking forward to stepping into their next chapter and competing at SingStrong New York 2016! Backtrack is five member group that performs a variety of music, with an emphasis on covers of today's top pop music. Founded in 2013, Backtrack was originally formed to produce YouTube videos, and since its founding, the group has gained over 4.2 million views and 43,000 subscribers. Expanding from it's YouTube origins, Backtrack now performs live and has taken the stage at various New York City venues. CONNECT (formerly The Hartford Wailers, est. 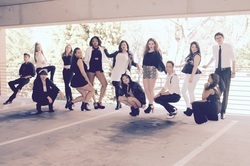 2012) is a professional a cappella group based in the Greater Hartford area of Connecticut. They are the proud winners of last year's SingStrong ACA-Idol Competition in Washington, D.C. CONNECT is made up of former collegiate a cappella singers who serve lush harmonies, pure emotion, and clean riffs with a modern edge. 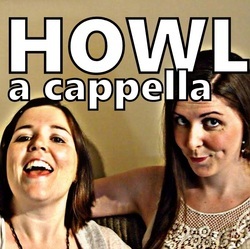 Live looping duo HOWL is ready to bring it! Allie Reeves and Honor Friberg layer vocal instrumentation, percussion and harmonies in real time to create exciting and innovative covers and mash-ups. They bring a quirky, passionate energy to a mix of songs from contemporary pop hits to songs from their childhood musical roots in the 90s. They are thrilled to be making their competition debut at SingStrong NY! 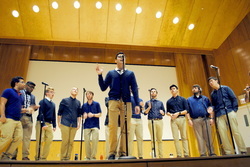 Kennesaw State A Cappella was founded just two years ago on the large campus of Kennesaw State University. But already the group boasts impressive vocal ranges, driving beatboxing, head-turning choreography, and complex musical arrangements. They were honored to sing at Atlanta's Advanced Screening for the World Premiere of "Pitch Perfect 2" and have since continued to make a name for themselves! The Lost Keys are a New York based coed a cappella group, bringing a soulful sound to contemporary and classic pop music with the goal of creating a musical experience that entertains and inspires audiences of all ages. Many of the group members came to New York City to find themselves, and in the process, we found each other. 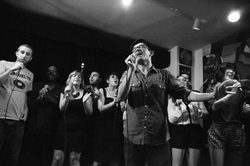 Our shared love of a cappella created a sense of community that we strive to bring to every venue where we perform. So we invite you to join The Lost Keys experience and hope to celebrate with you in the near future! Known for taking the collegiate a capella world from the Pitch Perfect movies and turning it on it’s head, MIX brings vocal innovation and story telling to a new level. 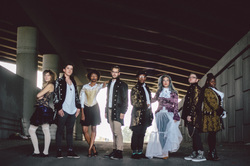 Using world-class vocals, costuming and carefully crafted arrangements, this group of 8 young performers is changing the face of contemporary a cappella. Former BOSS and SoJam champions, MIX has won critical acclaim across the United States and Europe, most recently garnering the award of “Most Innovative Group” at the Aarhus Acapella Festival in Denmark. 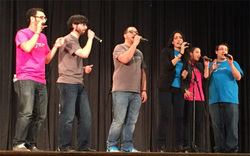 Satellite Lane is a Long Island-based a cappella group that currently belongs to the Contemporary A cappella League. 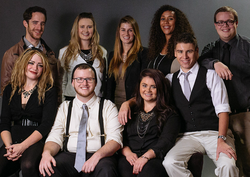 Made up of seven teachers, Satellite Lane specializes in spreading a cappella education to music programs and performing spontaneous original compositions. In March 2013, Satellite Lane competed in the New York Regional Harmony Sweepstakes, where they won "Audience Favorite," "Best Arrangement," and a special "Honorable Mention" for originality.